When picking wild vegetables it is vitally important to consider how much damage you're doing to the plants you're exploiting. It's one thing to hack into a patch of ground elder, it's another thing entirely to pick the flower heads from a meadow full of cowslips. Act responsibly and you'll be able to pick from a patch year after year after year. 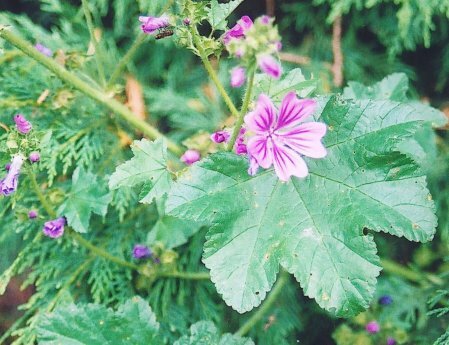 The common mallow is a very, very common plant on roadsides and in disturbed ground in many parts of the U.K. I add the young leaves to salds, but their main use is in a soup that is popular throughout the middle east. The flowers and young fruit can also be eaten, but I find them to be a little bland. 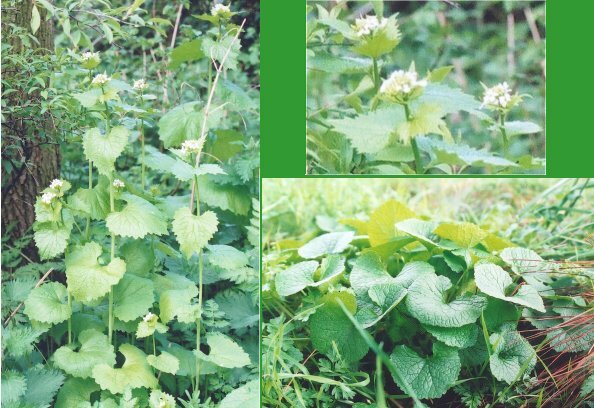 Garlic mustard is a very common and very useful wild green. It's a brassica, and when the young leaves appear in Spring (with a second crop appearing in Autumn) they've got a great garlicy-brassica flavour. The flowers and seeds can be added to mustard to give it an extra kick of flavour. Eat the young leaves raw in salad, add the older ones to other greens as you cook them to give a subtle garlic mustard flavour. 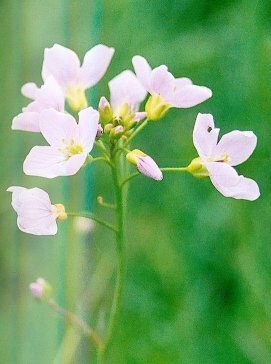 Ladys smock (or cuckoo flower) is one of the joys of spring. Found on wet ground all over Britain, this elegant member of the brassicaceae has peppery, hot tasting leaves that go well in spring salads and savoury puddings. Just in case you're interested, it's my favourite wild flower. 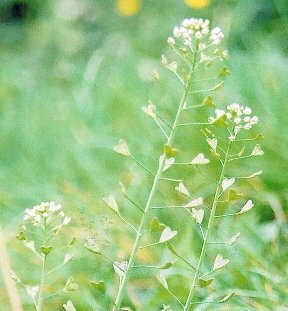 This is the familiar shepherds-purse plant (the name coming from the purse shaped seed pods in the picture above). Add the leaves and flower/seed stems in the last minute or two to stir fry's, is has a pleasant flavour. This is the common lime tre, otherwise known as linden. This one is a hybrid of small and large leaved lime, as are most of the ones you'll see. The lush green leaves have a sweet, lettucy taste that lends itself to being put in BLT or cream cheese and salad sandwiches. 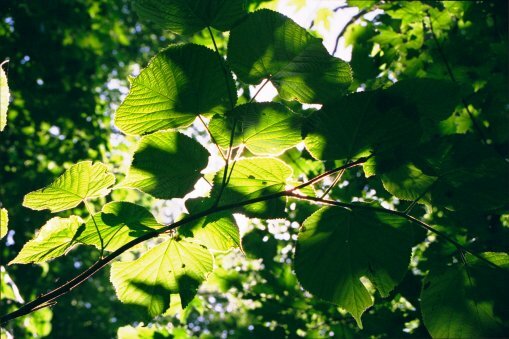 I often find myself chewing on lime leaves while walking through the woods, especially during the summer after they've bled a little sap, forming a sweet, sticky residue that is quite delicious. 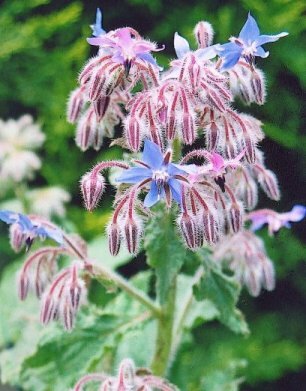 You may have come across borage leaves in drinks, they're traditionally added to Pimms and lemonade, and very pleasant that is too. I add the flowers to salads along with finely shredded young leaves. Tastes a bit like cucumber. Flowers from June, right through the Summer. 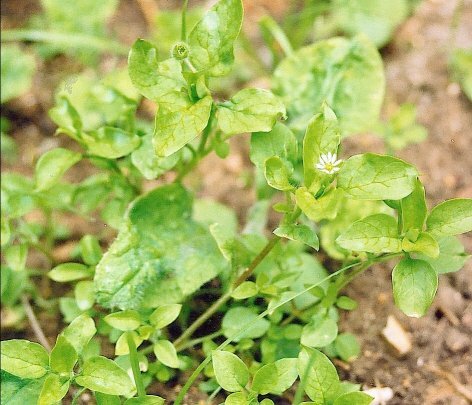 Next time you're weeding this plant (chickweed) from your vegetable patch, save some and give it a nibble, or steam it for a minute and eat it as a green. It's got a flavour not unlile that of chard, and I personally add it to my basket when gathering greens for salad.